In this tutorial, you are going to learn how to find similar pictures online. This is helpful if you want to know the source of the picture, edited versions and versions with a higher resolution. You could also check if other people are using your pictures without your permission. First go to “tineye.com”. Then, click on the “Choose File” button to upload your image. Select an image from your computer. Then, wait for a moment for it to be uploaded to the website. 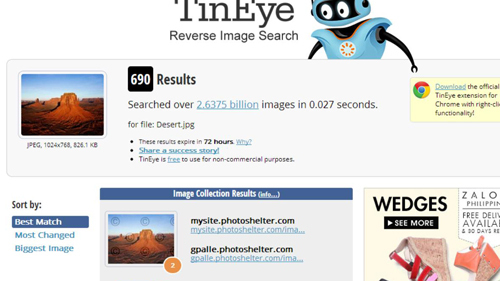 TinEye will display the number of results found and all the similar pictures of your uploaded picture including edited ones. 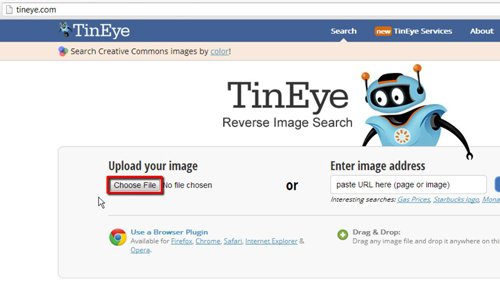 If you want to find a similar picture of a picture on a website, go back to the “tineye.com” homepage. Copy the URL of the image from the website and paste it into the box at the right side. Then, click the “Search” button. TinEye will again display all similar pictures it found from the given website.